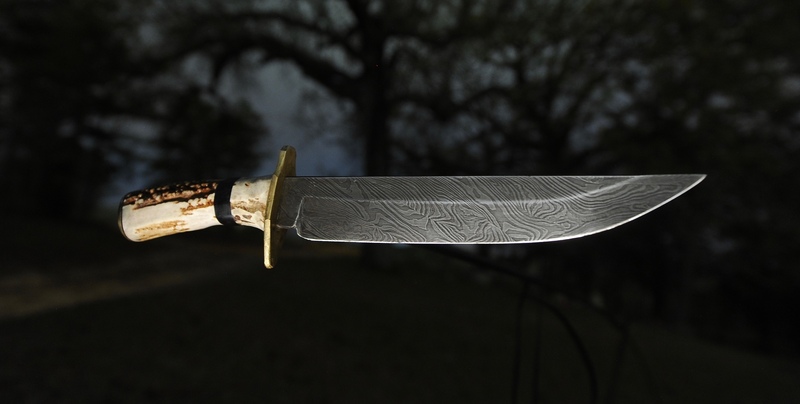 Cable Damascus San Mai Bowie, Professionally Photographed - The Iron Forge Fire Blackmithing Forum. I got to do a photo shoot with a professional who's been after me for a couple of years to shoot some of my work. Finally got it done. We went out to an old hilltop cemetery in the middle of nowhere late at night. Sounds weird, I know. It was an interesting technique to say the least. Excellent. Hope the pro pics keep you busy! Brilliant James! 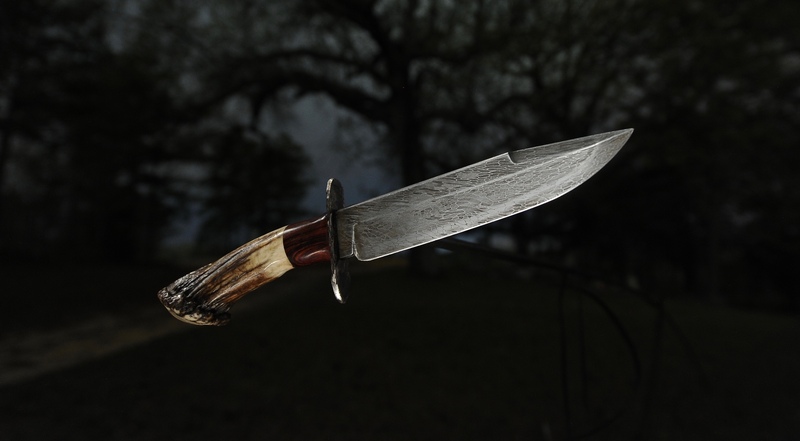 What encourages me most is the fact you create these knives entirely by hand. I would love to see you on forged in fire competition. I think you'd win hands down.